This name uses Eastern Slavic naming customs; the patronymic is Borisovna and the family name is Yumasheva. Tatyana Borisovna Yumasheva (Russian: Татьяна Борисовна Юмашева; born January 17, 1960; also Tatiana, former also Diyachenko or D'jachenko, née Yeltsina) is the younger daughter of former Russian President Boris Yeltsin. She graduated from MSU Faculty of Computational Mathematics and Cybernetics in 1983. She then worked at the Salyut Design Bureau and later at Khrunichev State Research and Production Space Center until 1994. Yeltsin made her his personal advisor in 1996 when his re-election campaign was faltering. A memoir written by Yeltsin, as reported by the New York Times  credited her with advising against "banning Communist Party, dissolving Parliament and postponing presidential elections" in 1996. She was particularly influential as Yeltsin recovered from heart surgery in late 1996. She became the keystone in a small group of advisors known as "The Family," although the others (Alexander Voloshin and Valentin Yumashev) were not Yeltsin relatives. Boris Berezovsky and other oligarchs were often included in the group as well. In 2000, Dyachenko's name came up during a corruption investigation, but no charges were brought. Dyachenko remained on the staff of Yeltsin's hand-picked successor Vladimir Putin, and was a key adviser to him during his 2000 election campaign, but Putin fired her later that year. Dyachenko was portrayed in the 2003 satirical comedy Spinning Boris, based on the real experiences of American political consultants in the 1996 campaign. Dyachenko and Yumashev provided editorial assistance in preparing the last volume of her father's memoirs, Midnight Diaries. Dyachenko was married to Alexey Dyachenko, a businessman who was recently made CEO of Urals Energy, a company under investigation by the Putin government as of 2008. In 2001, Tatyana married her fellow presidential adviser Valentin Yumashev, and flew to London to have a baby. Yumashev is the father-in-law of oligarch Oleg Deripaska. Tatyana is a close friend of another multi-billionaire, Roman Abramovich. ↑ Kirillov, Vladimir (2002). "Khrunichev Center - Leader of the Russian Space Sector". Eksport Vooruzheniy. Centre for Analysis of Strategies and Technologies (3). ↑ "Rescuing Boris". Time. July 15, 1996. ↑ Tyler, Patrick E. (October 8, 2000). 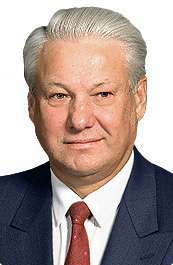 "How Yeltsin Nearly Scuttled Democracy in Russia". The New York Times. ↑ "Russia's Puppet Master". Time. August 23, 1999. ↑ "Survival Of The Fittest". Time. May 16, 1999. ↑ "The Ice-Cold Strategy". Time. March 5, 2000. ↑ Poniewozik, James (March 15, 2004). "Television: Moscow on the Hustings". Time. ↑ Osnos, Peter (April 25, 2007). "Mother Russia's Guiding Hand". The Washington Post. ↑ Franchetti, Mark (7 March 2010). "The Sober Truth Behind Boris Yeltsin's Drinking Problem". The Sunday Times. Retrieved 22 February 2011. Wikimedia Commons has media related to Tatyana Yumasheva.